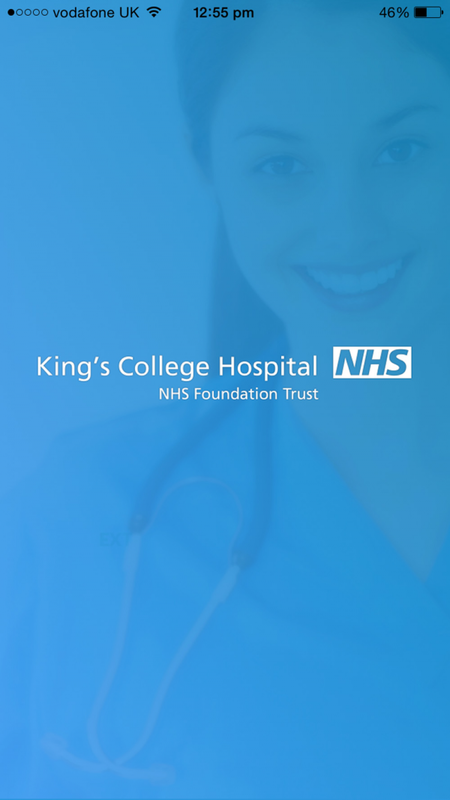 Working with King's College NHS, we co-created an application for iOS that give chronic rheumatism patients better ways to engage with their hospital and the doctors who are treating them. 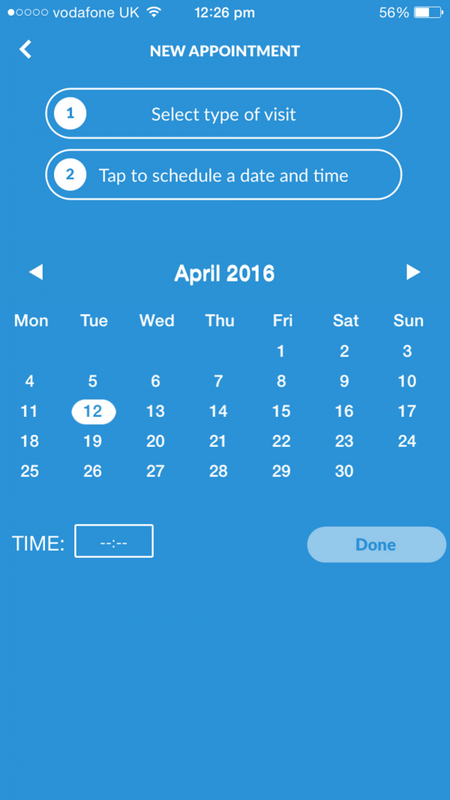 In addition, the app offers an appointment booking system with reminders and an internal mapping tool that helps patients get to their appointments more easily. The NHS Rheumatology department recognised patients would benefit from more touch points with their consultants than infrequent in-person appointments. The brief was to come up with a solution that would extend patient-consultant relationship beyond hospital walls as well as improve patient care through an additional NHS service. Moreover they recognised that elderly patients found it difficult to collate the various sets of information linked to a health condition, resulting in inefficient health care. With everything from medical history and new appointments to health symptoms and diagnoses - the patient had no accessible hub for all this crucial data. The result of our collaboration is an app that acts as a focal point of patient care, a digital hub where patients can find all the info they might need about their diagnosis, their consultants, and everything in between. Patients are equipped with a detailed internal map of the hospital, an appointment booking feature and access to information about past and future appointments allowing them to track their treatment over time. Everything patients need beyond regular face-to-face consultations with their doctors is now within reach. From scheduling follow-up appointments with a touch of a button to navigating a complicated hospital with the help of an interactive map, our app has made the patient journey before, during and after hospital appointments frictionless. The ability to retain a 360 degree view of their health condition and treatment at all times is, perhaps, the core innovation we’ve brought to the table. The app gives patients full visibility over their past, present and future appointments and the items they might not have taken action against yet (i.e. blood tests, physiotherapy appointments, etc). 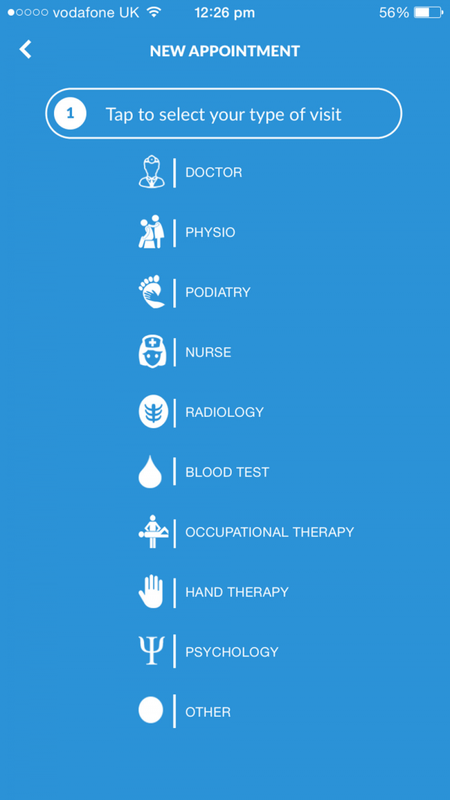 Especially useful for elderly patients - who typically find it harder to remember or keep track of all outputs during the course of a lengthy treatment - our app allows patients to track the entirety of their treatment and monitor their healing progress throughout. Additionally, the app aims to eliminate as much in-hospital paperwork and waiting time as possible, by allowing patients to fill in pre-appointment forms electronically, at home, before each doctor appointment. Similarly, patients who are required to fill a Health Questionnaire Assessment (HQA) before their consultation can now do it securely through the app. 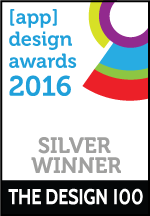 The aim of the client was to create a product that could easily be used by the average NHS patient. For that reason, it was essential that the app was easily navigable and very functional, making its sleek design appealing to a non technically savvy audience. In consultations with the department, it became clear that fewer functions and less technical sophistication also meant less friction for the average patient. Employing a familiar mobile navigation structure and making as much of the user experience seamless and automatic, the app made it easy for patients, regardless of the level of their mobile expertise, to interact with their doctors and find the information they needed. 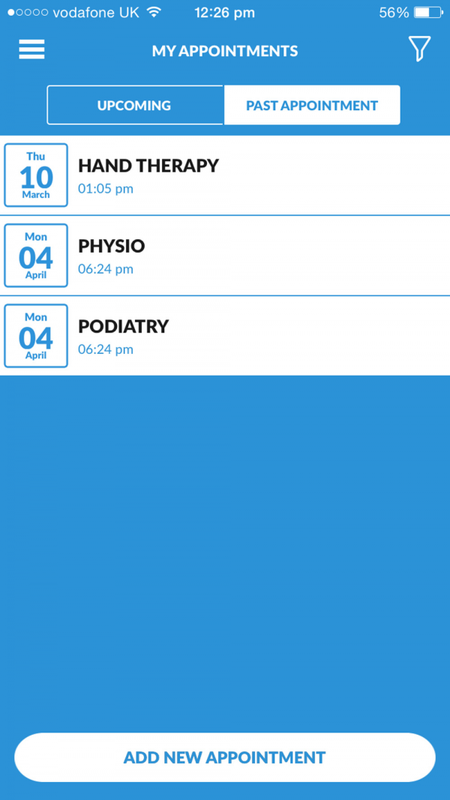 For instance, as part of on-going development, a function is to be added that syncs the phone’s calendar to that of the app, allowing patients to automatically have their medical appointments included in their overall diary. Without much technical nous, patients can integrate their treatment seamlessly into their daily lives and know immediately whether their appointments clashed with other existing items in their diary. As another example, rheumatology patients periodically fill out a HQA that allows their consultants to give them the best treatment possible. This is standardly done through a paper form that patients fill out and submit for assessment to their consultants. The app makes this procedure easier, greener and more private as the form is sent securely through the app and converted into a private email to the consultant. The app was specifically designed for the NHS King’s College Rheumatology Department so marketing the app has been restricted to that department. As this is a patient-only app, the department has placed its promotion into the hands of consultants who know the end users (i.e. the patients) and their need states. Whenever patients come for appointments, the doctors let them know that such an app is available for them to use. They will also walk them through the app and explain the benefits they would incur from using it. Patient feedback from using the app is then used to feed into ongoing development and research of new products. 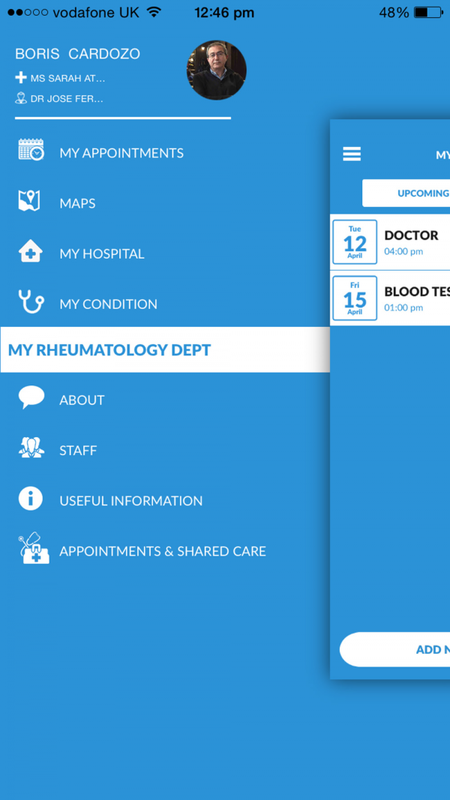 The NHS agreed to to test out the app with rheumatology patients first and see whether the model was successful and transferable to a nationwide roll-out as well as to departments treating similar chronic conditions. Patient data is 100% private because it is all stored natively on patient phones. In that sense, the app does not store any patient data on any servers and it does not require an internet connection to work. The department’s primary aim at this stage is to understand patient reaction and sentiment with having a “device” as a gateway to their treatment while, at the same time, making sure they feel completely secure about sharing their data. Guaranteeing data security does not, however, require that the app remain static. For example, patients can fill in a HQA and submit it by email via the app. To retain confidentiality, the questions and answers are anonymized with only the doctor and patient being able to decode the information contained therein. After rollout, the NHS will determine whether or not to add more sophisticated features to the app at the expense of the data security engendered by being truly serverless.